New Lobby Sign and Window Graphics for Donald & Company Salon! Located in the South End Charlotte area, Donald & Company is a full-service hair salon that handles everything from basic haircuts for conditioning and keratin treatments. Combining a relaxing atmosphere with superior customer service, the venue is well known for its repeat clientele that swears by the services of the friendly stylists. When it came time to enhance the atmosphere of the venue with signage, the company’s management team contacted The Sign Factory for assistance. The lobby sign consists of a clear acrylic panel with vinyl lettering in the colors that clients already know from the business’s website. The orange and gray expertly set the tone for a relaxing atmosphere, while the use of acrylic for this sign enhances the chic factor. Vinyl window graphics name the business on the glass panes that attractively curve around the venue. Passersby learn at a glance what this company is all about. Making the Signage Combo Work for Your Business. The combination of a lobby sign and window graphics is not new. This hair salon owner uses it with excellent success. Other businesses, too, have embraced the advantage afforded to them by selecting this type of arrangement. How can you make it work for your company? Enhance name recognition. Spelling out your company’s name on the windowpanes enhances name recognition. Whether it involves someone who remembers receiving a direct mailer or someone who is a past client, having your name clearly visible works in your favor. Create brand awareness. Take a page from the playbook of Donald & Company. The word “salon” has been added to the window display to make branding easy. Set the tone. With name recognition and brand awareness actively pursued, those passersby who enter now encounter your lobby sign. Its design and style elements combine to create an atmosphere in your venue. The one-two punch of this sign grouping is impossible to dismiss. It serves the salon well and works in a myriad of other business settings, too. Contact our professionals for more information on sign combinations. Although the aforementioned combo is the most common one, there are other options, too. For example, some business clients commission posters for window displays and A-frame markers. The trick here is to slow down the foot traffic right outside your venue so that consumers notice and pay attention to the posters in the windows. The combination of a lightbox cabinet and a floor graphic, too, has quite a punch. From looking up to looking down, the marketing and branding messages are clear and easy to take in. Whether you want to discuss an order of window graphics and lobby signs for beauty salons in Charlotte, NC, or similar sign products for other types of companies, our professionals can help. We work with you to put together a look that incorporates your artwork and enhances your clients or customers’ experiences at your business. 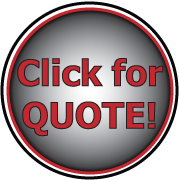 Call us today to get started on your order.